All of us have read or heard stories about people who turn lemons into lemonade. It is not often that we get the privilege of meeting such an individual. Before her bout with breast cancer, keynote speaker Christine K. Clifford had definitely cracked the "glass ceiling". By 40, she was Senior Executive Vice President for The SPAR Group, an international marketing firm in New York. Once the top salesperson in the multi-billion retail services industry, Christine’s accounts included Kmart, Toys ‘R’ Us, Wal-Mart, AT&T, Mattel Toys, and Revlon. 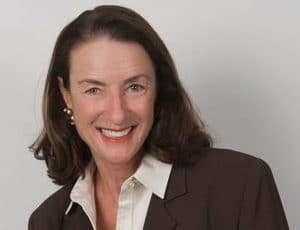 Taking her company from a million dollar per year loss to over $54 million in sales, Christine signed the largest contract in the history of her industry with Procter & Gamble, doubling the size of her company overnight. Diagnosed with breast cancer in December of ’94, Christine went on to write eight award-winning, humorous portrayals of her story in books entitled Not Now…I’m Having A No Hair Day! , Our Family Has Cancer, Too!, Inspiring Breakthrough Secrets to Live Your Dreams, Cancer Has Its Privileges: Stories of Hope & Laughter, and Your Guardian Angel’s Gift. YOU, Inc. The Art of Selling Yourself was released March, 2007 by Warner Books. It has been named a “Notable Book of 2007” by the American Booksellers Association. She also appears in Masters of Sales(August, 2007). Christine Clifford quickly learned that not only does the world laugh with you when you laugh, laughter takes away the pain. Christine has just released two new books: Laugh ‘Til It Heals: Notes from the World’s Funniest Cancer Mailbox and The Clue Phone’s Ringing… It’s for You! Healing Humor for Women Divorcing, (October, 2011). In 1994, Christine faced a life-changing experience and began her own company, The Cancer Club, the world’s largest producer of humorous and helpful products for people with cancer. Christine is a contributing author to Chicken Soup for the Survivor’s Soul, Chicken Soup for the Golfer’s Soul, Chicken Soup for the Writer’s Soul, and is featured in the books The Courage to Laugh and The Triumph of the Human Spirit: Real Cancer Survivors, Real Battles, Real Victories. Featured in the New York Times, the Wall Street Journal, Better Homes & Gardens, MORE, Self, American Health, Golf Digest, as well as The Singapore Women’s Weekly and the Hindu in India, CNN Live called her “one of the world’s leading authorities on the use of therapeutic humor”. She has also appeared on Lifetime Television Network’s New Attitudes show, and the Leeza Show. Host of The Christine Clifford Celebrity Golf Tournament, a benefit for breast cancer research, Christine’s inaugural event raised over $100,000, making it the most successful first-year event in the history of the American Cancer Society. Her contribution has been over $1,000,000 and she has received the Council of Excellence Award for income development from the American Cancer Society. July, 2002 Christine was awarded her “CSP” (Certified Speaking Professional) designation from the National Speakers Association. The letters “CSP” following a speaker’s name indicate a speaking professional with proven experience who brings a proven track record of experience and expertise. Less than 7% of the 5,000 speakers who belong to the International Federation for Professional Speakers hold this professional designation. Christine is a member of the Minnesota Speakers Association, the National Speakers Association, the American Association for Applied and Therapeutic Humor, and the National Association of Breast Cancer Organizations. She is listed in International Who’s Who of Professionals, International Who’s Who of Entrepreneurs, and International Who’s Who of Authors and Writers. She is also listed in Contemporary Authors and 2,000 Notable American Women. She serves on the Board of Directors for The Angel Foundation. Christine helped to launch an anti-aging multi-level marketing company in 2009 called LifeVantage, and launched Divorcing Divas, LLC in 2010. Christine has two sons: Tim and Brooks and is Grandmother to Siberian Husky, Skylar. Christine lives in Minneapolis, Minnesota. Presentation includes Chris­tine’s cartoons, the classic story about her flying wig at a major golf tournament (as featured in Chicken Soup for the Golfer’s Soul) and a six-minute NBC special featuring Christine’s story – an hour of hope, laughter and positive thinking. Based on her award-winning book of the same title, this is an inspiring and helpful presenta­tion for children, spouses, and friends of people dealing with cancer. As the mother of six children, Christine’s wonderfully rendered cartoons and stories take the fear out of the disease, and help entire families see: they are not alone. Illness, especially chronic disease, wrecks havoc on employees and the people left back in the office trying to “fill in the gaps”. Christine helps corporations and their employ­ees learn to deal with changes in the office, ways to offer sup­port, and methods to deal with the challenges that occur when a valued employee becomes ill. No down time here!